LONDON (Reuters) – How much is your DNA worth? As millions of people pay for home tests to check on ancestry or health risks, genetic data is becoming an increasingly valuable resource for drugmakers, triggering a race to create a DNA marketplace. 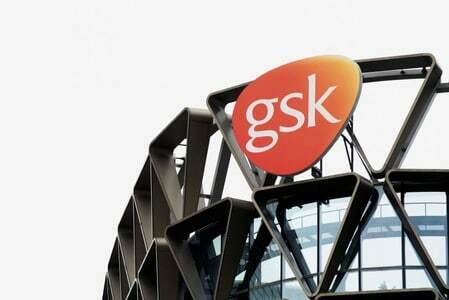 GlaxoSmithKline’s <GSK.L> decision to invest $300 million in 23andMe and forge an exclusive drug development deal with the Silicon Valley consumer genetics company crystallizes the value locked up in genetic code. The tie-up is the biggest yet involving home DNA testing, a market dominated by 23andMe and Ancestry.com, which charge under $100 for a saliva-based test, but can also gain voluntary consent from customers for their data to be used by third parties. However a number of new start-ups are beginning to offer people the chance to own their genetic information and sell it to data-hungry drug researchers. Firms like EncrypGen, Nebula Genomics, LunaDNA and Zenome are using blockchain – the technology behind Bitcoin – to secure sensitive DNA records and create a transaction ledger. The new players all have slightly different models, with most simply provide data platforms, where people are rewarded for providing data, although Nebula also plans to offer testing. The idea of using genetic factors to hunt for better drugs has been around for more than 20 years – but it is only now becoming possible to gather a large enough sample to spot the rare variants responsible for many diseases. 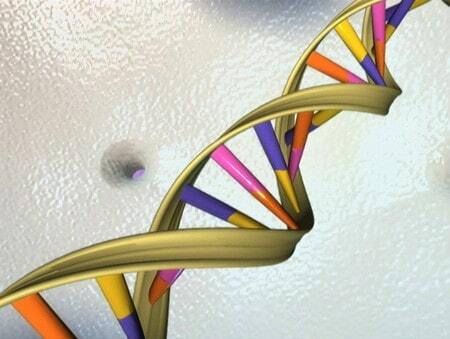 The number of people who have had their DNA analyzed with the main testing companies has taken off https://tmsnrt.rs/2M6KGyl since 2016 and now stands at around 17 million, according to entrepreneur and co-founder of science website DNAGeeks.com David Mittelman. By 2021, he thinks the figure could be north of 100 million. For drugmakers like GSK, which announced its 23andMe deal last week, access to this data offers a way to accelerate drug development, since finding a drug target linked to a human genetic variant doubles the chance of producing a new medicine. The interest in home DNA tests, which can reveal genetic variants that may influence the chances of developing diseases including Alzheimer’s, is part of a wider drive by drugmakers to tap into a range of anonymized patient data. Roche <ROG.S>, for example, has spent $4.3 billion this year buying out two specialists in cancer data, Foundation Medicine and Flatiron Health. The trend raises has worries among campaigners about data security and privacy. In a bid to alleviate concerns, Ancestry.com, 23andMe and other consumer genetic testing companies have now set out a “best practices” framework to ensure express consent, strong security and transparency on data use. Caitlin Curtis, a research fellow at the University of Queensland, estimates 23andMe has made around $130 million from selling access to about a million genotypes, prior to the GSK deal, implying an average price of around $130. Anne Wojcicki, 23andMe’s CEO, believes her customers simply want to help find new treatments for intractable conditions like Parkinson’s disease – the focus of the first drug research project with GSK – and her company has no current plans to give customers rebates if their data is sold on. “People who have a disease or a family member with a condition are really interested in what they can do to help come up with a solution,” she said in an interview. A spokesman for Ancestry.com said his group did not have any current relationships with for-profit organizations, although it is working with some academic institutions. Ancestry.com did have a 2015 deal with U.S. biotech company Calico, the financial terms of which were not disclosed, but this has now ended. The ability of genetic testing companies to rake in cash twice rankles with some like geneticist George Church – the Harvard University scientist famous for wanting to resurrect the extinct Woolly mammoth – who is one of the founders of Nebula. Nebula aims to eliminate the personal genetics companies as middlemen between data owners and data buyers, a notion shared by rivals like David Koepsell, chief executive of EncrypGen. People selling data on EncrypGen’s system will receive DNA tokens, a cryptocurrency. Other players have different plans, with LunaDNA’s community-owned database offering shares that will generate dividends as researchers pay to access data. Peter Pitts, president of non-profit healthcare research group the U.S. Center for Medicine in the Public Interest, agrees handing over DNA deserves financial recompense when the benefits flow to for-profit companies. “People need to realize that they are actually paying for companies to monetize their most personal information and they are getting nothing for it,” he said. LunaDNA co-founder Dawn Barry, who used to work at leading gene sequencing company Illumina <ILMN.O>, said she didn’t expect people to make “life-changing money” from selling DNA. It won’t be plain sailing for the new upstart companies. One of the main attractions for GSK in doing a deal with 23andMe is the fact that the Google-backed Californian company has over 5 million customers, more than 80 percent of whom have consented to participate in research and share their data. EncrypGen, by contrast, which launched its first storage product earlier this year, has just 1,000 profiled users, of whom around 100 have uploaded DNA data so far. When it comes to using DNA to understand the links between genetics and disease, scale matters. “To do the analyses that are required to understand these complex links between genetics and disease you need massive datasets,” said researcher Curtis.